Y'all, I feel like a Tyrannosaurus Rex tore open my head, dropped a deuce into my sinuses, then stomped on my chest on his way back to terrorize Jeff Goldblum and Sam Neill. It hurts to look my laptop screen for any length of time, so I'll get the promised post on the Tuna, candied and dried, up in a few days. 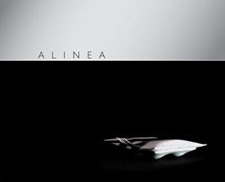 Is there really an Alinea movie in the works? No clue if this is really happening, but for fun, go ahead and make your casting recommendations here in the comments. I think Matthew Modine could play TK, Edward Norton is a shoo-in for Chef Achatz, and I think Lauren Graham or Leighton Meester should play me... because you know I'm going to have to find a way be written into the script as the-spunky-ingenue-who ever-so-slightly-channels-Gladys-Kravitz. Or, feel free to suggest ideas for awesome plot twists (Achatz as Bond! Achatz opens a day care with Ben Affleck, hilarity ensues!) or celebrity cameos (Don Rickles sous vides Jack Klugman). I don't know. Clearly, I am sick and my funny bone is suffering. And, it's not online, but a special thanks to Claire Tansey and her editors at Canadian House & Home for including Alinea At Home in their January 2009 trends issue. It's a beautiful magazine, and I'm beyond thrilled to be included. As thanks, I will no longer refer to Canada as "America's Hat." You're welcome. Feeling like you do and you still thought of putting something up for our viewing pleasure? Geez, you're guilting me out...Now I feel like I should make you chicken soup or something...Its tough to mail soup though....Unless, inspired by Alinea, I powder it and ...Nah, somethings just should NOT be messed with. I have to think about this but off the top of my head I see Ethan Hawke as Grant, Lauren Graham is a possibly good choice for you, TK (aka Tom) I will have to think about and of course, I second your suggestion of Daniel Craig as David Lebovitz (I don't know how he will get in the story but he must). I can see Lauren Graham playing you. That moment in your pig's head video where you ask the lady at the counter if she wants to see what you have in your bag was a very Lorelai Gilmore kind of thing. Christian Bale as Chef Achatz, that's all I gotta say. Feel better soon! Here's hoping you can get lots of rest!!! I saw that Salon interview that referenced the film about Grant Achatz -- that director does documentaries, so we'll have to be satisfied with drooling over Grant instead of Edward. Grant Achatz, Thomas Keller, and Michael Bloomberg battle it out in a tripe competition on Top Chef. Carol Blymire is the sole judge. Will she go for technique and precision in Achatz' and Keller's savory tripe dishes, or will she follow her heart and go for Bloomberg's chocolate tripe ice cream surprise? I vote for a cameo appearance by Scott, your fish monger. You've already created a fully flushed out character in this and the FL blog, that he's just a shoe in. Scott, Scott, Scott! Isla Fisher as you. Maybe Tim Blake Nelson as Grant. The Achatz will definitely be a doc -- I used to work for the filmmaker, and he's never done scripted. I think it actually probably will happen and could be very good. It's certainly a good story. Just read an amazing article that I thought you'd enjoy... I am totally in awe of these guys, and you of course!